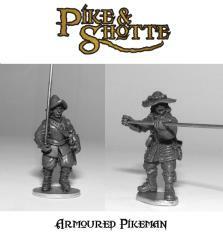 This pack of Armored Pikemen are great for adding variety to your existing pike units and increasing their size, or building a new one entirely from scratch. These are great character models with a great amount of detail for you painters out there. In the pack there are 8 random armored pikemen with pikes.